Des Moines River - Mississippi River, 16 July 1993 (Keokuk, Iowa, USA) - Enhanced Radar Images of the Midwest USA Great Flood of 1993. Views of the confluence of the Des Moines River with the Mississippi at Keokuk, Iowa. The images were processed by Emily Bryant. 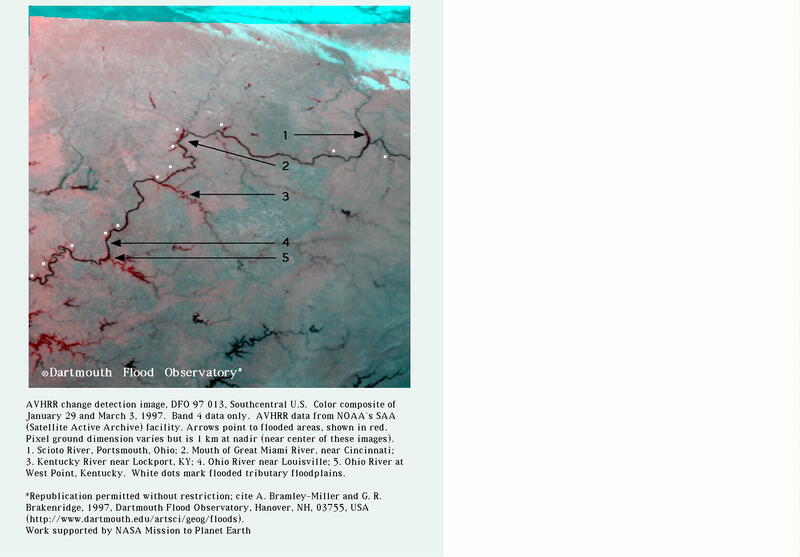 DFO1995-019, March 1995 (Napa and Sacramento Rivers, Northern California, USA) - Enhanced ERS-1 Radar Images (3-D and Planimetric) of Northern California Flooding, 1995. The images were processed by Emily Bryant. 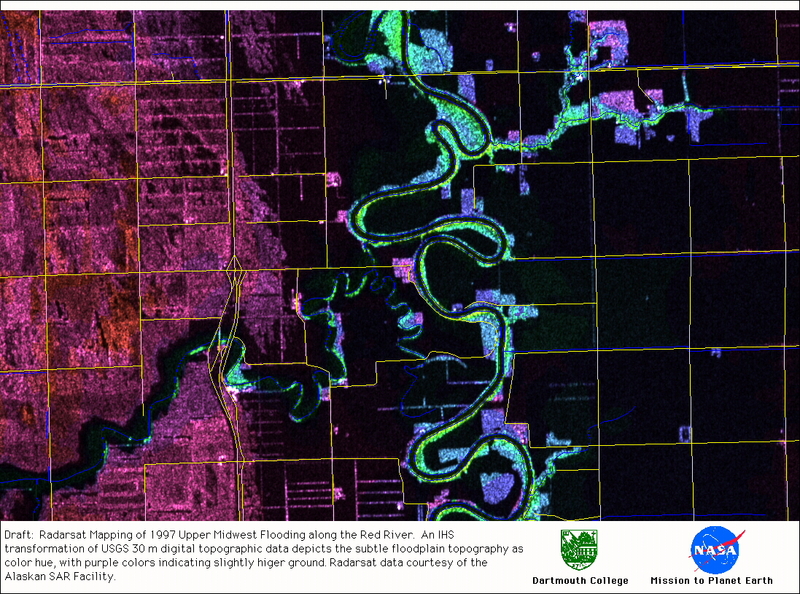 Illinois River near Beardstown, 1 June 1995 (Illinois, USA) - Enhanced Radar Images of Midwest Flooding. ERS SAR data of the Beardstown Illinois area (orbit 20290, frame 801) were acquired June 1, 1995 at 10:35 pm (local time). The images were processed by Emily Bryant. ERS SAR data are copyright ESA, 1995. The following scenes of the Illinois River are in downstream order.